A new forest project in Colombia secures the livelihoods of small farmers and the wood supply for Faber-Castell – a unique environment protection programme, certified by the UN. With a socially exemplary and sustainable reforestation project in Colombia, Faber-Castell continues to reinforce its leading role as a climate-neutral company. On almost 2,000 hectares of grassland along the Rio Magdalena in Colombia, small farmers are planting tree seedlings for future pencil production. The fast-growing forests not only provide excellent erosion protection for this region plagued by overgrazing and flooding, they are also a reliable source of income for the farmers living in modest circumstances, who are paid for forest maintenance and benefit from the proceeds from the timber. The environmental project was one of the fi rst in the world to be certified for the UN “Clean Development Mechanism” (CDM) programme. This is because Faber-Castell makes an active contribution to climate protection and is one of the fi rst private companies world-wide that is permitted to sell emission certificates from forestry. As the world’s leading manufacturer of wood-cased pencils, Faber-Castell uses 100% sustainable wood, of which more than 95% is FSCTM certified. 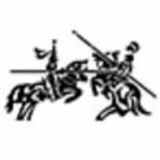 Faber-Castell stands for quality Faber-Castell is one of the world’s leading manufacturers and marketers of quality products for writing, drawing and creative design – the brand name is world-famous. In the core area of woodcased pencils, the group is the most important and oldest manufacturer in the world with a production capacity of more than 2 billion pencils and coloured pencils. 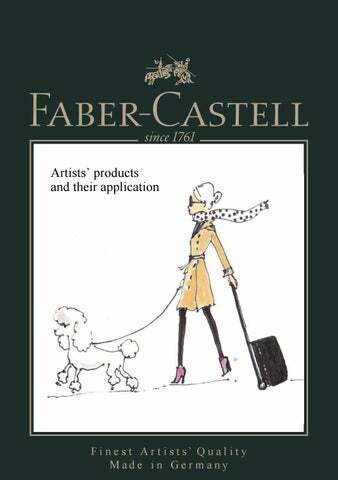 Its Art & Graphic range allows Faber-Castell to enjoy a great reputation among artists and hobby painters. Prestigious creative minds have recognised this expertise since time immemorial – from Vincent van Gogh to Karl Lagerfeld. High quality artists’ pigments ensure light resistance and thus brilliance and colour intensity for decades. All products are based on the same colour system, enabling reliable mixing techniques of artists’ pencils, whether water-soluble or indelible. Product Illustrations Professor Doo-Shik Lee (Ph.D.), was one of South Korea’s most important and influential artists. Born in Yeongju, Doo-Shik Lee studied art at Hongik University in Seoul in the 1960s. Numerous exhibitions and curatorial activities in Asia, the United States and Europe gave him an international profi le. His work was fi rst shown in Germany at a group exhibition in the 1990s. Lee was the Head of the Art Faculty at the internationally renowned Hongik University. The high demand for his artistic skill was attested to by his position as an official representative of his country’s art for the South Korean Ministry of Foreign Affairs. Ink drawings have a very long artistic tradition in many countries. The expressiveness and covering power of ink, along with its permanence and ability to be combined with many other painting techniques, have ensured that this medium has consistently sparked the interest of artists and graphic designers. Faber-Castell has now brought together all of the advantages of drawing in Indian ink in a modern and uncomplicated disposable pen â&#x20AC;&#x201C; the Pitt Artist Pen. The high-quality brush point will continue to function even when bent, and will not break under these conditions. The light colours are transparent, and thus well suited to varnishing techniques, while the dark colours have good covering qualities. Pitt Artist Pens have unsurpassed light-fastness, and the individual colours are marked with an asterisk-based code. ... as well as in various 4/6/8ct. wallet assortments. Pitt Artist Pen Brush The inherently stable brush tip provides not only an excellent ink flow and an even colour laydown but also glides smoothly over paper. The brush version is available in 60 individual colours and various wallets. 6 assorted colours with flexible Brush tip. Pitt Artist Pen White Highly pigmented water-based India ink. Ideal for setting highlights or on dark papers. Pitt Artist Pen Fineliner India ink pen with metal-cased tip. Ideal for writing and crafting of greeting and invitation cards. Available in 8 brilliant individual colours with line width S â&#x2030;&#x2C6; 0.3 mm as well as in various wallets. Pitt Artist Pen Calligraphy India ink pen with chisel nib. Ideal for calligraphic writing and drawing. Available in 3 individual colours. Pitt Artist Pen Metallic High covering power also on dark paper. Odourless, waterbased ink. No shaking, no pumping necessary. Available individually in 6 colours. The lighter the colour of the Pitt Artist Pen India ink pen, the more transparent it is. The darker the colour, the more covering it naturally is. This pen also offers interesting possibilities for mixed techniques, e.g. with Albrecht Dürer artist’s watercolour pencils. Colour depth, rich colours and different light intensities can be created by repeated laydowns of the same colour. The waterbased ink with watercolour characteristics allows it to create brilliant colour mixtures and bright colour shades by interfering areas with each other. The India ink of the Pitt Artist Pen develops a dynamic flowability in wet areas. Once dry, the colour is waterproof, permanent and can be painted over. The dry Pitt Artist Pen can be worked over with a water-soluble Albrecht Dürer pencil or watercolour without dissolving again. The luminance and colour depth remains intensive and stable. The Pitt Artist Pen is available in various line widths. This way the artist may select from a range of fi ne nibs to brush tip, depending on the type of nib that is needed for creating the artwork. By varying the angles of holding the brush tip, one can create manifold line widths and areas. Polychromos artists’ colour pencils are valued for their peerless quality by professional artists around the world. Their high standard ensures that Polychromos artists’ colour pencils are ideal for use in the graphic arts, for free artistic expression, and for the precise colouring of plans. Faber-Castell’s quality standards are applied consistently throughout the manufacturing process. Top-quality materials, combined with our long experience, ensure that Polychromos artists’ colour pencils have extremely break-resistant leads, maximum light-fastness, the most vivid colours and optimal paintability, along with many other advantages valued by professional artists. 120 vivid colours, available individually from good specialist shops. Lead diameter: 3.8 mm Round cross-section, varnished in the same colour as the lead. Complete range of Polychromos artists’ colour pencils, presented in three tiers. Wooden case with wengé stain,varnished on the inside and outside and with a high-quality fi nish, containing 120 Polychromos artists’ colour pencils presented in two tiers. Polychromos artists’ colour pencils have especially soft leads, which are non-smudge and waterproof. They are characterised by their unparalleled light-fastness and break-resistance. To create blocks of intense colour, hold the pencil in an almost vertical position and press down hard on the paper. To colour an area evenly, hold the pencil at a very shallow angle, and only press down lightly on the paper. The structure of the paper will be visible, while individual strokes will not. Drawing many lines alongside each other will create an area of colour, which can be intensified by repeatedly overlaying lines at different angles. Light colours are transparent, while dark colours provide coverage. Superimposing layers of colour increases the brilliance and vividness of the colours. To create even areas of colour, paint over the strokes made with Polychromos artists’ colour pencils using a bristle brush and paraffin oil (baby oil or salad oil). Oil paints also dissolve the artists’ colour pencils, which is why they are often used to draw preparatory sketches for oil paintings. The lines subsequently dissolve when they are painted over. A coloured background can result in very attractive changes to the character of a colour. olychromos colour pencils adhere to many rough surfaces, such as paper, cardboard, wood, stone, leather and metal. Polychromos artists’ colour pencils are permanent, adhere firmly to their background, and do not require fixing. Fixing could cause lower layers of colour to bleed through to the surface. Albrecht Dürer Artists’ Watercolour Pencils Albrecht Dürer artists’ watercolour pencils provide artists with great versatility of expression when drawing, shading and painting in Albrecht Dürer artists’ watercolour pencils provide artists with great versatility of expression when drawing, shading and painting in watercolours. High-quality materials, combined with Faber-Castell’s experience, have resulted in pencils that produce unsurpassed watercolour effects. The coloured surface can be transformed with only a few fine or broad brushstrokes to reveal the full and unique power of the colours. Depending on the paper being used, the pigments can be completely dissolved, and will then behave in the same way as classic watercolour paints. The Albrecht Duerer Artists’ Watercolour Pencils can also be combined with other artistic mediums. The Pitt Artist india ink Pen suits particularly well. As it is waterproof, preliminary drawings are not dissolved when applying watercolour. In addition, exciting scribbles add spontaneous touches in the dried piece. Albrecht Dürer Watercolour Pencils 120 vivid colours available individually from good specialist shops. Lead diameter: 3.8 mm Hexagonal cross-section, varnished in the same colour as the lead. Wooden case with wengé stain, varnished on the inside and outside and with a high-quality finish, containing 120 Albrecht Dürer artists’ watercolour pencils presented in two tiers. Set of 36 pencils in a tin or studio box Art.-No. 11 75 36 / Item 11 75 38 Set of 60 pencils in a tin Art.-No. 11 75 60 Set of 120 pencils in a tin Complete range of Albrecht Dürer artists’ watercolour pencils, presented in three tiers. Albrecht Dürer Magnus Watercolour Pencils 30 brilliant colours, available individually from good specialist shops. Lead diameter 5.3 mm ideal for large-scale drawing and watercolouring. Hexagonal cross-section, varnish in the same colour as the lead. Complete range of Albrecht Dürer Magnus artists´ watercolour pencils and accessories in a wooden case with wenge stain, varnished on the inside and outside and with a highquality finish. Pencils are presented on two tiers. Albrecht Dürer and Albrecht Dürer Magnus Watercolour Pencils The leads in Albrecht Dürer artists’ watercolour pencils can be transformed completely into watercolour paints, and have a high level of light-fastness and break-resistance. Paint over a coloured surface on the paper with a damp brush. The more often the surface is painted over, the more the strokes will dissolve. Spraying the coloured surface with water from a spray bottle will make the colours especially intense and cause them to merge into interesting transitions, based on the structure of the paper. The artists’ watercolour pencils release a great deal of pigment when used on dampened paper. The pencil tips become very soft, and glide smoothly across the paper. Albrecht Dürer artists’ watercolour pencils adhere firmly to the paper and do not require fixing. “UV sprays” will also only enhance their permanence in rare cases. The square cross-section of the Polychromos artists’ pastels makes them perfectly suited both to drawing lines and shading areas. They can be smudged by fingers, and thus require light fixing. We recommend using the edges of the artists’ pastels for shading. This will achieve more even and defined stroke widths, which adhere better to their background. The level of pressure exerted will determine the amount of pigmentation the crayons deposit onto the paper. The artist has a wide range of possibilities, from delicate, fine lines through to impulsive splashes of colour. Colours can be blended by vigorously superimposing different layers, causing the individual strokes of colour to merge softly into one another. Pastel pigment can be grated off the crayon using sandpaper. If the surface has been sprayed with a fixative, the coloured pigments will bind to the background. Damp acrylic paints were used in this example. Adjacent lines of colour can easily be smudged with a finger to create an even surface with a delicate transition of colour. To create even areas of colour, paint over the strokes made with Polychromos artists’ pastels using a bristle brush and paraffin oil (baby oil or salad oil). This technique is ideal for colouring paper and creating backgrounds and bases. Pastel colours can be completely removed from smooth, firm types of paper using a vinyl eraser. Dabbing with an art eraser will lighten the colours. Pitt artistsâ&#x20AC;&#x2122; pastel pencils, with their oil-free pastel leads, are used by artists not only as the perfect complement to pastel crayons for elaborating fi ne details, but also on their own. Many artists who enjoy pastel techniques and their versatility, but not the dirty hands and coloured dust that accompany them, have opted to use these special pencils. Pitt pastel pencils have a very compact lead, which is economical to use. The lead contains a very high level of pigment, making the pencils ideally suited both to drawing lines and shading, as well as blending and merging into delicate colour transitions. The colour selection in this range places a particular emphasis on the muted shades and earth tones that are especially important for pastel drawing. Pitt Pastel 60 vivid colours, available individually from good specialist shops. Lead diameter: 4.3 mm Round cross-section, with a dipped cap in the same colour as the lead. Assortment of colours featuring extensive shades for landscapes, portraits, design etc., presented in two tiers. Pitt pastel pencils are ideal for drawing lines and shading surfaces, as well as for small pastel drawings and picture details. They perfectly complement the Polychromos artistsâ&#x20AC;&#x2122; pastel crayons. Pitt pastel pencils can be smudged by fingers, and thus require light fixing. The level of pressure exerted will determine the amount of pigmentation the pastel pencils deposit onto the paper. The artist has a wide range of possibilities, from delicate, fine lines through to impulsive splashes of colour. This blending technique involves working the lighter colour into the darker one, thereby immediately creating a new shade. The lines merge and become very diffuse, and can disappear entirely if coloured over repeatedly. Adjacent areas of colour can be transformed into powerful mixtures of colour when smudged with a finger. The lines remain visible. Whole areas of colour can be created using individual dabs of colour, which can be gently merged by rubbing them softly with the palm of your hand. Different nuances of expression can be achieved in this way. Adjacent lines or areas of colour can easily be smudged with a finger to create a distinct block or a delicate transition of colour. The more often the area is coloured over, the greater the intensity of the colour. To create even areas of colour, paint over the strokes made with Pitt pastel pencils using a bristle brush and paraffin oil (baby oil or salad oil). The monochrome colours of sanguine and sepia can be found in life drawing classes at almost every art academy. Enhanced with white, and with the shadows deepened with black, they lend vitality, liveliness and expression to the drawings. This old tradition of figure drawing dates back to the Renaissance. Pitt Monochrome crayons hark back to this long tradition of figure drawing, which is why the crayons designed for sketching are harder than conventional pastel crayons. For this reason, the lines do not disappear completely when smudged. The sanguine and sepia crayons are supplemented by oil-free and oil-based drawing pencils for sketching details and lines. Small 12-piece assortment of graphite, charcoal, artists’ pencils and artists’ crayons in a metal tin. Medium 21-piece assortment of graphite, charcoal, artists’ pencils and artists’ crayons in a metal tin. Large 33-piece assortment of graphite, charcoal, artists’ pencils and artists’ crayons in a metal tin. Wooden case with wenge stain, varnished on the inside and outside and with a high-quality fi nish, containing the complete range of Pitt Monochrome artists’ products and accessories, presented in two tiers. This assortment of highly pigmented artists’ pencils and crayons in a range of monochrome shades is primarily designed for figure drawing. The oil-free pencils and crayons can be used for line drawings and shading surfaces, and can be combined with one another. Unlike the oil-free pencils and crayons, the pencils marked as Oil Base adhere firmly to the background and are smudge and waterproof. The black drawing pencil comes in 5 grades of hardness, offering a wide range of drawing and sketching possibilities. These pencils and crayons in a variety of earth tones can be easily smudged with a finger to create coloured areas and delicate colour transitions, and require light fixing to preserve the drawing. We recommend using the edges of the artists’ pastel crayons for shading. This will achieve more even and defined stroke widths, which adhere better to their background.. The artists’ pencils are ideal for drawing details, while the artists’ crayons are better suited to large or broad lines and areas. The different earth tones only display their full and unique character when lightened with white. Depending on the individual pigment, the shades also take on either warm or cool nuances. White is not only used to apply highlights (especially on coloured paper), but also for smudging and blending. Two different grades of hardness facilitate the various shading techniques. The products adhere so well to textured backgrounds that only minimal fixing is required. The colours are unaffected by exposure to sunlight. Natural charcoal is the oldest sketching and drawing material in the world. The greyish-blue shade glides softly across the paper, rubs and smudges easily, and can be erased without difficulty and repeatedly overlaid. Many art students are taught to first make sketches in natural charcoal, even when working on canvas, before further elaborating the details of the picture. Faber-Castell has developed two further products based on this classic drawing material, namely pressed charcoal sticks and pressed charcoal pencils. Ground natural charcoal is enriched with black pigment, and then compressed with clay to form a crayon. This results in a significantly blacker shade, which is available in 5 different grades of hardness. Soft / medium / hard Round cross-section, unsharpened, with brown varnish. Natural charcoal sticks in 4 diameters Ø ca. 3 – 6 mm / 5 – 8 mm / 7 – 12 mm / 9 – 15 mm Stick length: 83 mm Natural branch shape. Art.-No. 12 91 .. Extra soft / soft / medium /hard / extra hard Stick length: 83 mm Ø 7.8 mm, round cross-section. 24-piece set containing a selectionof natural and pressed charcoal crayons and charcoal pencils in different grades of hardness, with accessories. The pressed and natural charcoals in pencil and crayon form are a tried and tested traditional art material, as are the natural charcoal sticks. All of the charcoal products in the Art & Graphic range have a high level of light-fastness. The pressed charcoal sticks are made of charcoal, which has been enriched with additional pigment and then pressed together with clay to form crayons of different grades of hardness. It leaves strokes of deep black, which can be smudged with a finger to create an even area of intense black colour. Pressed charcoal is ideally suited to larger areas, as it is somewhat softer. Natural charcoal is harder, and thus perfect for drawing outlines and details. Due to its high level of pigmentation, pressed charcoal can be painted over using a bristle brush and paraffin oil (baby oil or salad oil) to create areas of intense colour. Pressed charcoal produces a very intense colour. Transitions enable its full range of shades, from pitch black to light grey, to be shown to best advantage. Natural charcoal is made by charring willow twigs in the absence of oxygen. The strokes can be easily smudged with a finger to create a grey surface. Natural charcoal is available in a range of diameters. The colour deposit and character of the charcoal sticks is uniform. The strokes are very easy to erase. Fixing is required to preserve the drawings. Natural charcoal has a very limited intensity of colour. Its delicate greyish-blue hue is shown to advantage in very fine colour transitions. Charcoal drawings smudge very easily, and thus require fixing. The Pitt Graphite Programme provides all creative artists with an extensive range of pencils and crayons in different grades of hardness for sketching, graphic design and shading work. The “green pencil from Faber”, which was already being mentioned with approval by van Gogh and Goethe, has now become part of everyday life. The 16 different grades of hardness range from a delicate grey hue to a deep graphite black, and offer artists a wide range of possibilities. The Graphite Pure leads are ideal for creating contrasts and shading extended areas. These pencils offer unparalleled possibilities for spontaneous expression, creating different effects based on the pressure applied and grade of hardness. The pencils are sharpened in the same way as a normal lead pencil. The graphite crayons are an ideal and very economical medium for working on very large sketches and areas. 12 Castell 9000 pencils in a range of softer grades of hardness for art work. 12 Castell 9000 pencils in a range of harder grades of hardness for graphic design. 6 Castell 9000 in a range of softer grades of hardness forart work 8B / 6B / 4B / 2B / B / HB. 5 Castell 9000 Jumbos in a range of softer grades of hardness for art work 8B / 6B / 4B / 2B / HB. HB / 3B / 6B / 9B Length: 174 mm, Ø 7.7 mm Round cross-section with a protective casing. A combination of 2 Castell 9000 and 2 Castell 9000 Jumbo pencils, 2 Graphite Aquarelle pencils, 2 Pitt Graphite Pure pencils, 1 Pitt Graphite crayon and accessories. A combination of 3 Castell 9000 and 3 Castell 9000 Jumbo pencils, 3 Graphite Aquarelle pencils, 3 Pitt Graphite Pure pencils, 2 Pitt Graphite crayon and accessories. A combination of 7 Castell 9000 and 3 Castell 9000 Jumbo pencils, 3 Graphite Aquarelle pencils, 3 Pitt Graphite Pure pencils, 3 Pitt Graphite crayon and accessories. Very finely ground graphite and clay are the base materials for the range. The pencils used to draw precise lines and fine details A , Graphite Pure, a thick graphite lead used to draw expressive contrasts B , and the crayons used to shade larger areas C , are all available in different grades of hardness, based on the proportion of the two components in the mixture. Different line widths and areas can be created by holding the crayon at various angles and using different edges. Hatching involves creating areas from lines. A very even effect can be produced by repeatedly superimposing lines at different angles. These areas can range in colour from delicate grey to deepest black, depending on the grade of hardness and the pressure of the stroke. To create an area of even colour in which the individual strokes are no longer visible, hold the pencil at a very shallow angle and only press down lightly on the paper. Particularly good results can be obtained with this technique using a Graphite Pure pencil. Particularly large areas can be easily shaded using graphite crayons. Painting the area with paraffin oil (salad or baby oil) and a bristle brush will enhance the intensity of the graphite layer. Graphite products are ideally suited to the rubbing techniques so popular with children (the structure of an object beneath the paper comes through when it is rubbed over). The crayons in particular can be used in limitless artistic applications of this technique. Examples of use: The different degrees of hardness allow you to achieve strong contrasts of light and dark washes. When applying a wet brush to the graphite, the intensity of the shades of grey can be controlled by adding more or less water. Precisely drawn lines and structures completely dissolve to become watercolor effects. The fi rm line becomes softer, and also changes its grey scale. Try new techniques, e.g. the character of the line can be changed by drawing on wet paper. As the lines dissolve very easily when wet, ideal for usage with silk painting. Can be dissolved with a wet paint-brush or sponge.For delicate washes, grind graphite off the pencil with sandpaper and gently pick up again with wet brush to apply.Can be sharpened with an artistsâ&#x20AC;&#x2122; pencil sharpener. Lithography was discovered as a printing method almost 200 years ago, and is still an important artistic discipline today. This graphic technique exploits the fact that water and oil do not mix. The drawings and prints are done on a flat, even surface. Even today we still use limestone from the Solnhofen quarries in the Altmühl valley in Germany. Manufactured aluminium and tin plates are, however, also suitable for lithography. The exceptional artistic avenues offered by this flat printing technique were appreciated very early on and it is now a form that has been used by all noteworthy artists. Its popularity is on the rise. Lithographic techniques mean that a large number of copies can be made using simple and primarily environmentally friendly materials. The drawing is made using materials that contain oil on a prepared limestone or metal plate. Then the plate has to be prepared so that only the drawing itself will accept printing ink, while no colour adheres to the other areas. The drawing material is washed out using an oil-based solvent, and the lines of the drawing are prepared so that they are ready for printing. The printing ink is applied and the drawing is printed. The soft red eraser accurately removes lead and coloured pencil marks, while the hard white eraser removes ink, Indian ink and ballpoint pens. Used to blend or correct pastel crayon, Pitt crayon and pressed and natural charcoal strokes. Compact pocket brush for on the move. The integrated grooves and wedge shaped design on the cap side can be used for scratch and scraping techniques. Ideal for Urban Sketching. Used to correct or lighten charcoal and pastel strokes. Can also be used to clean transparencies and for fine drawings. Cleanly erases lead and coloured pencil strokes. Eraser that leaves no shavings. Water cup with practical folding mechanism for storage and transport. Perfect for pencil-shavings Easy to clean Not suitable for solvents (e.g. turpentine). Sharpener for graphite and colour pencils. Sharpener with a sharp and a blunt blade, especially designed for artistsâ&#x20AC;&#x2122; colour pencils (including those with a thicker wooden casing). Double-hole sharpening box for standard and jumbo pencils with titanium plated knife. Hand-worked multipurpose knife for very fi ne graphic corrections and the sharpening of artistsâ&#x20AC;&#x2122; pencils. 2 strips of fi ne and coarse-grained sandpaper for the most delicate sharpening functions. Also suited to grinding pastel powders.